You know the joke: a guy walks into a bar, downs inordinate levels of whiskey and beer, slurs his way through a taxi home, and then drools all over his pillow. Uh, not that we’re speaking from experience. We all know the tired, classic bar scenario, though: you sit, you drink, you whip out a few dance moves that make Snapchat history (lord save us), and the only real surprise is that first glance at your bank account the next morning. It’s time to stir things up, friends. Meet the most bar-side fun you’ll ever have (and never remember). Forget four leaf clovers, we’ll take four boozy bubble teas and call it a (lucky) day! B. 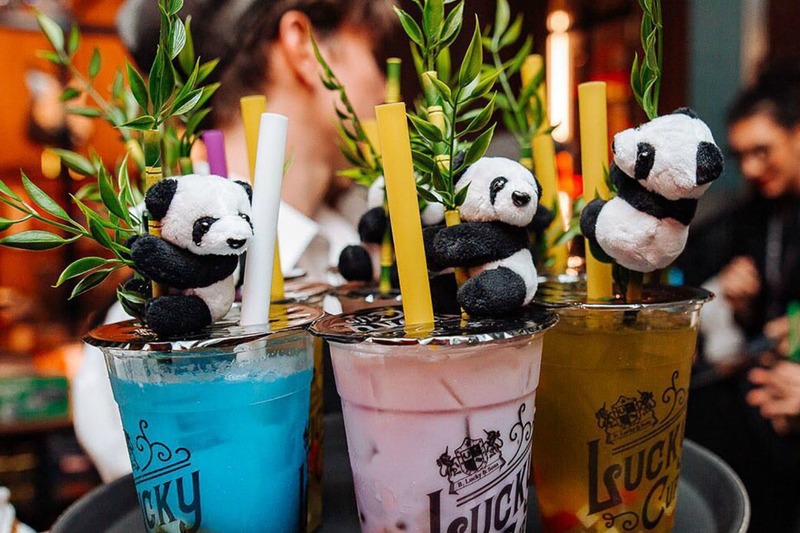 Lucky & Sons is the Valley’s newest arcade go-to, where you can go bananas over Mario Kart, tuck into pub grub on a pizza and blow your mind with various alcoholic bubble teas. Invade their Space anytime you like. Time to level up, barflies. Nothing screams ‘out all night’ like a round of pints and pinball points at our favourite arcade – though it’s mostly ‘cause you’re trying to beat that dratted Super Mario run (we call hacks). Hey, if anything, at least you can say you scored. High scored, even. Tee up a group date: cocktails never looked better than they do at the Valley’s indoor putt-putt course. Grab a Putty Professor at the Caddyshack Bar and putt your way upstairs to the nine-iron throne: it sure beats sitting in a dingy corner at your local. Don’t just scratch that itch for a beer – give your competitive side a moment in the limelight, too. At The Scratch, you can wrap your hands around boxes of board games during that epic Sunday sesh, so grab a seat on the couches and Connect 4 with a perf bar experience. Beer good. Boring bad. Hey, it might be repping a prehistoric name, but this crafty alehouse knows its way around a Sunday session. Ditch that drab schnitty and schooner for an afternoon of craft pints, popcorn chicken po boys, and giant jenga in the Garden Bar. Say heya to a serious night out. Go ahead: think of every bar cliché in the book and throw ‘em out the window – Heya’s in a league of its own. From Asian-inspired bar bites (hello, cheeseburger spring rolls) to foosball tables with enough space for your cocktail glass, this underground bar’s worth searching for. … Seriously, did you hear us say ‘cheeseburger spring rolls’? Brisbane’s choc full of fun bar outings, and dessert bar Cowch is one of the sweeter secrets you’ll discover. Boasting a long line of ice cream cabinets and bartenders ready to shake up a rocky road cocktail on demand, the perfect night’s a piece of cake. Take your plans into the right lane. We know what you’re thinking: ‘what, no booze?’ and wow, #attacked. Have we ever steered you wrong? With a bar right next to your bowling lanes (you’re welcome), bowl over your pub plans with a serious reboot.